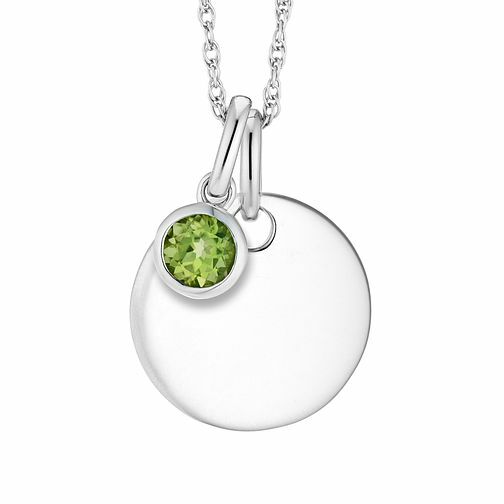 Style yourself with elegant birthstone pendants, with this round disc pendant embellished with a single note of Peridot - The birthstone of August. Engraving available, please contact your local store for more details. Birthstone jewellery comes with a rich tradition of colour and symbolism.